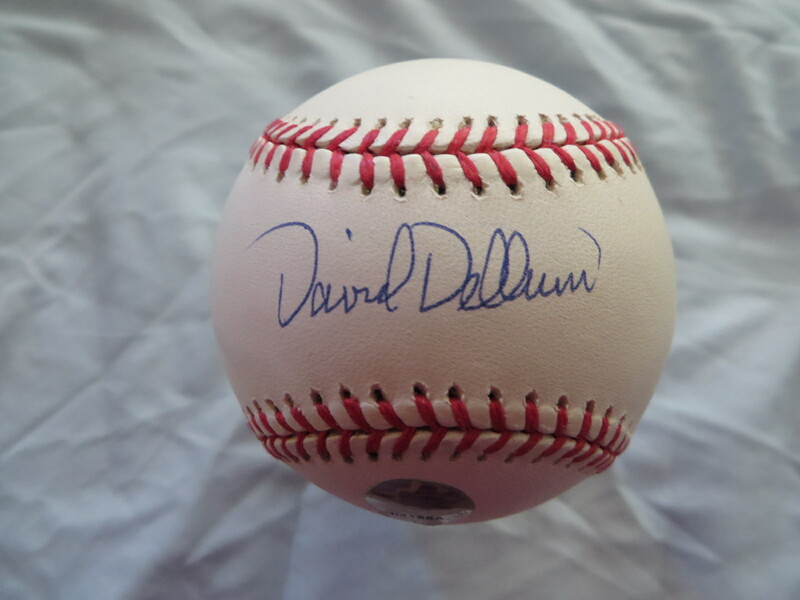 Rawlings Official League leather baseball autographed in blue ballpoint on the sweet spot by former outfielder David Dellucci, a member of the 2001 Arizona Diamondbacks World Series Championship team. Authenticated by Hidden Authentics with their numbered hologram on the baseball and certificate of authenticity. ONLY ONE AVAILABLE FOR SALE.